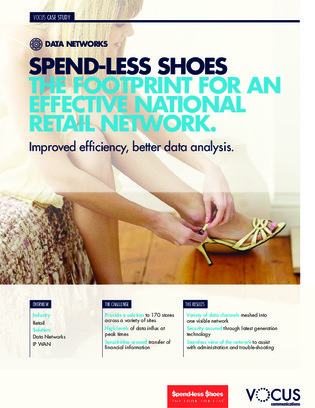 Footwear retailer Spend-less Group wanted to upgrade their legacy IT infrastructure, to enable better use of data and analytics and create a more integrated customer experience across online and in-store. Spend-less decided to build a national WAN with the help of Vocus to increase the effectiveness of the company’s systems—which gave them greater visibility of purchasing trends and stock, improving overall delivery of products. Download this case study to learn how else the switch helps Spend-less meet customers’ expectations of a single, consistent shopping experience.